So you are getting married - Congratulations - what exciting times ahead as you plan for that very memorable day and now that legislation has been passed and part of the legal wording now reads "the union of two people to the exclusion of all others" I am more than happy to marry anyone who is in love with their partner, regards of gender race or creed. Two consultations to complete paperwork, discuss and plan your forthcoming ceremony, at my office, or a venue to be agreed. A rehearsal at the venue or, if that is not practicable, an agreed location. A comprehensive folder of ideas/suggestions to assist you in creating a memorable ceremony. 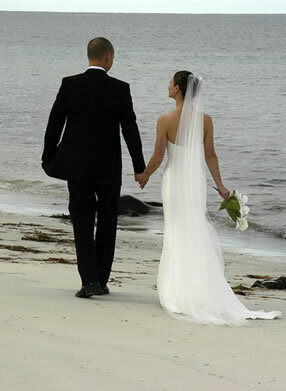 The creation of a personalised ceremony that incorporates the essence of your ideas and beliefs. Provision of pa system, and microphones if required. Travel to and from consultations (if required), and attendance at ceremony. A presentation copy of your ceremony. A ceremony that complies with the guidelines set out by the Commonwealth of Australia Marriage Act 1961, and which adheres to the Code of Practice for Marriage Celebrants. All legal documentation completed and submitted to the Registrar of Births, Deaths and Marriages in the State the marriage is performed. Please contact me for an informal and private chat and I’m sure that I will be able to assist you in creating a magical wedding ceremony. Happiness is not something that just happens. A good marriage is created. In the Art of Marriage: the little things are the big ones. It is never being too old to hold hands. It is remembering to say 'I love you' at least once a day. It is never going to sleep angry. It is at no time taking the other for granted... It is standing together facing the world. It is forming a circle of love that gathers the whole family. It is doing things for each other, not in the attitude of duty or sacrifice, but in the spirit of joy... It is cultivating flexibility, patience, understanding and a sense of humour. It is having the capacity to forgive and forget. It is finding room for things of the spirit. It is a common search for the good and the beautiful. It is establishing a relationship in which the independence is equal, dependence is mutual and the obligation is reciprocal. It is not only marrying the right partner, it is being the right partner. The following agencies offer courses and counselling which may be helpful to you as you attempt to make your relationship a strong and lasting one.